Two weeks ago Paul Radford (Alpha tester for Train as One - www.launch.trainasone.com) came down to reccy the Bideford Bay 50k route with me. It was midweek and we had arranged to start after I had done the school run and he had got here from North of Londinium. To cut a very long boring story short (my life) Paul was delayed by some seething putrid monster called the M25 and I was delayed by an even bigger uglier monster called work. 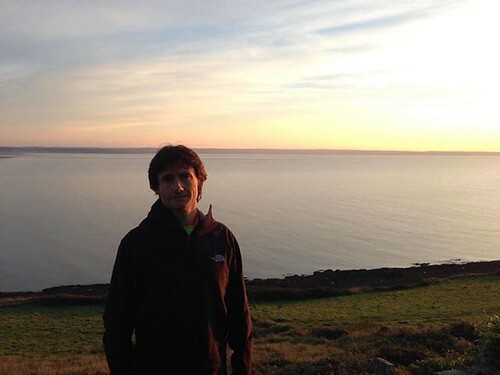 We met in Bideford at noon and a half, left his car near the expected finish and took my van to the start in Hartland. I think we actually set out on the route from Hartland at about 1:15pm. All faired well for the first half marathon and then I started to get some niggling cramps in my left quad. We stopped at Clovelly for amongst other things a Callipo ice pop??? Heading out on the trail again Paul was clearly quite comfortable and I was clearly not. We continued on until between Bucks Mills and GreenCliffs I had to pull up and stop. My stomach was trying to make me puke and there was clearly nothing in it. And then it hit me - there's nothing in it!!! I had missed breakfast racing around with the kids, which wouldn't be so bad if we had started running then, but we had started after lunch - what lunch??? Muppet!!! 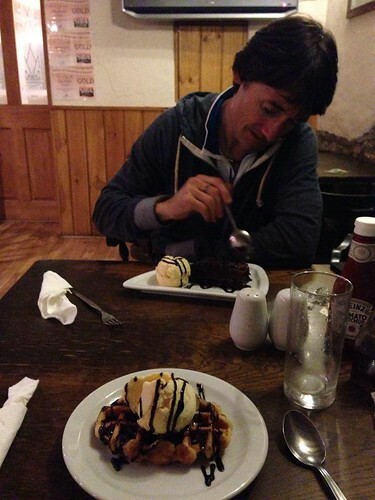 Paul informed me that we had already used somewhere close to 3,000 calories and my total daily intake had been a banana and a flapjack. I laid down with my head down hill and ate a banana, flapjack, 2 gels, a small packet of Haribo and within 20 minutes was ready to move on. When we finished (8 hours after starting) Paul told me that it was an impressive recovery as he thought it was game over when I bonked. Luckily Paul and I had a whole bunch of Ferret Business to discuss especially regarding the exciting developments for the upcoming Ferret camp in November (http://trailferret.co.uk/v2/index.php?page=events#2529nov). The Twitter bush was making a lot of noise and pictures were flying around of our fellow competitors and red wine, this could only be good news for us being good and abstaining. An early night was on the cards and i'm not referring back to the women's darts team. Just to finish off the sizeable puddings we scoffed at dinner, we settled into bed with a bowl of porridge courtesy of the microwave the lovely pub people put in our room because we would miss breakfast. Why is it that the one time you actually need an early breakfast in a B&B they're not serving until 9AM?!!! That's Devon time for ya. Just as we were settling in Paul said that Mrs Radford had a premonition of the number 34 and that maybe he would be good up until 34k. Cukooooo! We started race day the same way we finished the night before - porridge in bed. There was debate of clothing and weather. Well I say that but it was mostly me talking as Paul was clearly only ever going to run in his amazing X-Bionic Effektor top (www.x-bionic.co.uk), compression shorts and running shorts on top. I packed 2 race packs, 1 for the start and one for the bag drop at half way. My start pack had my Elivar Endure in the bladder working on the assumption that I would prolong energy debt better this way. My focus for this race was to be able to complete it and recover to be able to run again as part of my preparation for The Spine Race in January. 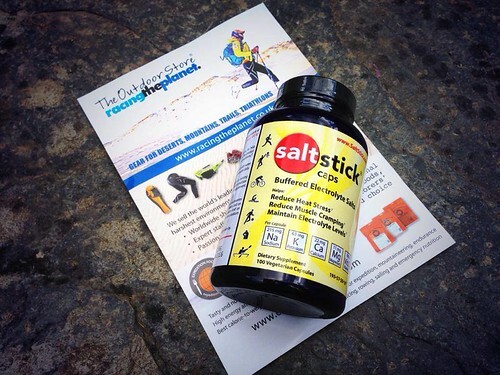 In my second pack I placed a bladder of water as quite often towards the latter stages of a long run all I want is water to balance any gels or solids taken on board. I also placed my caffeinated gels in the second pack when i'm more likely to need them. We checked in after 7am and there was already a buzz. People were rugged up due to a chilly start and not having a warm B&B room right next to the start line (insert look of smugness). Check in was easy, give your name and collect your number - 34. 34!!! He must have known? Did he rig it with Adrian? Due to catching up with a few faces recognised from the interweb (still not a reference to the women's darts team) we were on tight lines to get back to the B&B and finalise our prep. For me one of the big things on race day is my coffee. I'm a bit fussy about my coffee at the best of times but especially on race day. In my van I have a stove, an Italian coffee maker and some Fairtrade Sumatran coffee. To cut a long boring story short (my life again), I grabbed something out of the front of the van, slammed the door and the Italian coffee maker full of lovely fresh hot coffee fell off the stove because the van was on an incline - AAAAAAaaaaahhhh! 34..... We only had 15 minutes to the start and I was mopping coffee up of the van floor and down the units and I won’t be able to have my coffee and and and 34!!!! I kid you not I was thinking about the coffee for about 3 hours into the race. One thing I had managed to do was have my Elivar Prepare 90 minutes before the start. It was chocolaty, went down easily and stayed down. We literally jogged to the start and went just about straight off. Now, in the week leading up to the race Paul had been asking for advice about some tibialis issues he was having and had down-graded his race strategy to “just get around” - Yeh Right!!! was my response. Also having reccied (can we have official spellings for reccy and reccied) the route we had come to the conclusion that the race would be best approached by conserving as much as possible up front and not to tare off down hill at the start thus generating a load of muscle damage. A couple of minutes down the road and Paul is edging away, and I dig him with a "you off then Paul?". He looks back and gives it the "no, no, no". About 2 minutes later and we are all still bunched up at a pedestrian pace and Paul turns and says "no one’s gone yet..." to which I reply "be that man Paul, do it". He gives it the "no, no, no" again but there's a bit more hesitation. I give it about a minute and then say "Paul - see you at the finish...". He was like a puppy off the leash, I didn't see him again till the finish. So you'll have to read Paul's blog for his story and I can guarantee it will be full of technical detail. I settled in with a group that included Bridget Funnell, Angela Martin, the amazing Jayne Angilley and Gareth Cross from Bideford. 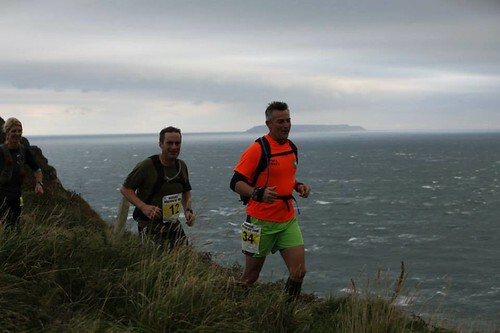 We were just heading down the road to Hartland Quay when two runners ran up the road. Two things; firstly - that was quick, and secondly - I'm sure the route was to return up the coastal path, not the road. I think I'm going to just deal with the elephant in the room now - there were a few parts of the course which may have been “open to interpretation”. However, I don't think any of it made any difference at the business end of the race. Our group remained together and steady for the next 10 miles which flew by due to friendly conversation. The Elivar Orange and Mango Endure was going down nicely and a couple of gels went down in that time. There was a split in the track which I was anticipating some confusion and as Gareth led us down to the left I shouted “this way guys”, to the right. "Are you sure?" "Yup" I said "I ran it with the race director and he said it was this way". 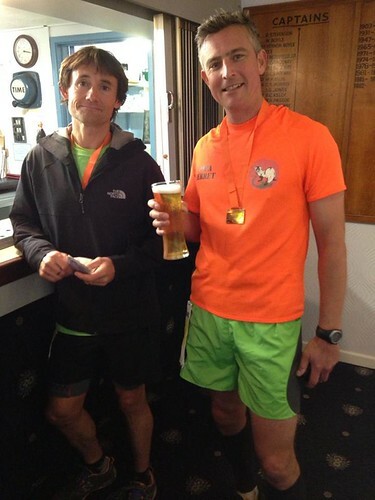 "Ah" said Gareth, "I ran it with the race director and we ran this way".... Mega lols - to me to you to me to you. I led on up the way I knew, which Paul later confirmed was the route from the course map so I think we were all good.... A couple of miles out from Clovelly and I started to get the dreaded 'glute meed' giving me gip. It’s hard to explain but it’s a numbness that hurts.... A reminder that I haven't had it massaged in a while (any volunteers?). I stopped for a stretch and to water a fern that looked thirsty, that was the last I saw of my pace group. I ran the rest of the race virtually alone (insert sad Aaaaah....). However, now I was alone I could listen to my music. Except my lovely Senheiser headphones were only working in one ear, even worse - my non dominant ear AAAAAAAaaaaaaarrrrhhhh 34!!!!! BucksMills soon came and there was a nice reception from the CP volunteers and a few supporters. The CPs were well stocked and spaced out. I drank the last of the Elivar Endure and switched the water bladder into my pack. Scoffed a banana and switched the last few bits between packs. I had put some emergency clothing in the second pack and luckily none of it was required. In fact the weather was much better than most of us had expected. As I was directed out of Bucks Mills I remembered this bit from the reccy run….. Steps, steps, steps and more steps. The sun was coming out and I appeared to be climbing a lot of steps lately. Around about Green Cliffs I started to get a little bit of cramp come on in my right quad. Interesting since I had stopped drinking the Elivar Endure. I took a Saltstick cap and a bunch of water and pushed on. To my delight it eased in about 10 minutes. The rest of the section to Westward Ho! was a bit uneventful apart from Katy Graham sprinting up to me and passing, thankfully letting me know she was part of the Hills Angels relay team (well done ladies!). There was also the regular visits from the man who kept appearing like the shop keeper in Mr Benn. My plan of managing my lactate to a minimum seemed to be working and now I was on the salt caps there was no cramps etc, I actually felt quite good. In fact I even texted Hidden Ferret at 21.5 miles and said 'feeling good". Westward Ho! was the start of the level running and as I started down the gravel path towards the Ho! I thought it a good time to bosh a double espresso GU and pick the pace up. The taste reminded me of the pot of coffee I missed before the start and the inevitable clean up job which as I write this still awaits. In fact I don't need coffee in the morning now because the van reeks of it! I'm not sure how long it took from the start of the gravel path, and the double espresso, to the start of the seafront but as I started down the seafront towards the pre CP welcome committee, I started to get cramps in both quads equally. The pre CP welcome committee were encouraging me down but I was going downhill rapidly. Emergency action!! 2 x Saltstick caps and half a bottle of water from the committee. I dwelled a moment or two and got the directions to the official CP. On the way down I was met by a young lad who was encouraging me all the way, I challenged him to a race to the CP. This enabled me to stretch my legs out and turn them over - things started to feel better. High tide meant that I was to take the back of the breakwater and not the beach. By the time I got to the end of the beach I was wishing I had run on the beach because it would have been flat and compact as opposed to dry soft sand dunes. I took the low water option for the approach to Appledore which paid off. I was now trying to press a bit harder and had drained the last of the water from my pack - its home or bust! I knew there were other runners out there I just couldn't see them! I knew because as I ran through Appledore someone asked me "how far is 50k then?". How do you answer that??? "It's 50k....", "It's a tad far....", "Too far...". I decided to not be facetious (out of character) and as I ran on give him the answer he was probably seeking - "It's about 31 and a quarter miles". To which he just shouted after me "Bloody nutter!". I'll take that as a compliment. I crossed the finish line actually feeling a lot better than I thought I would for 50k with 4,500ft of ascent. I was soon met by Paul who was cooled down, massaged and changed having come a very commendable 3rd. 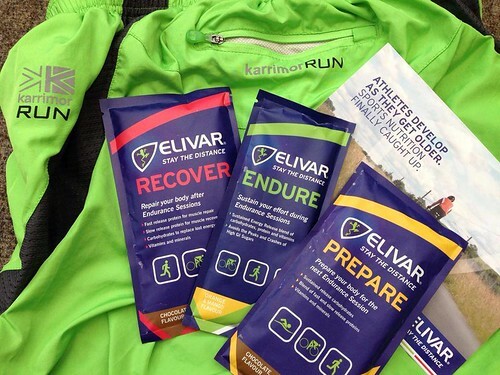 I drank my Elivar Recover whilst waiting for my post race massage with Vic from VRFIT and Rebecca from Better Bodies. In summary the 50k went really well for me in contrast to the reccy run. The reccy run showed how ill preparation can have serious effects, and the race day showed that physiological detriment can be limited through sensible management. The following day I was a bit stiff but by no means immobile and I was running on Monday. 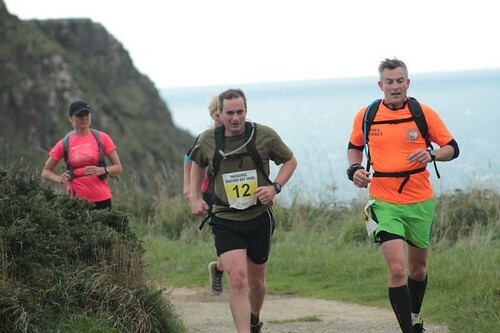 All in all it was a great first Bideford Bay 50k and dare I say it, I actually look forwards to next year.